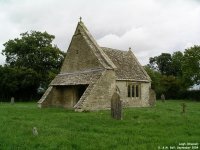 The parish church of All Saints, Leigh is located in Swan Lane about one mile from this Old Chancel, at Upper Waterhay. 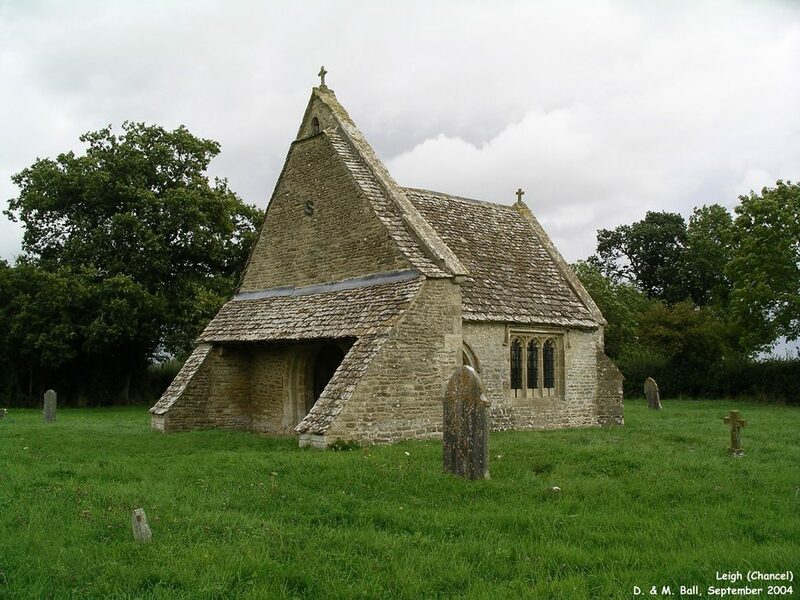 Stones from the original church's nave (built around 1250) were carried to their new location and used to build the church in 1896. 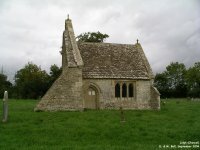 Only this chancel remains in the original position. 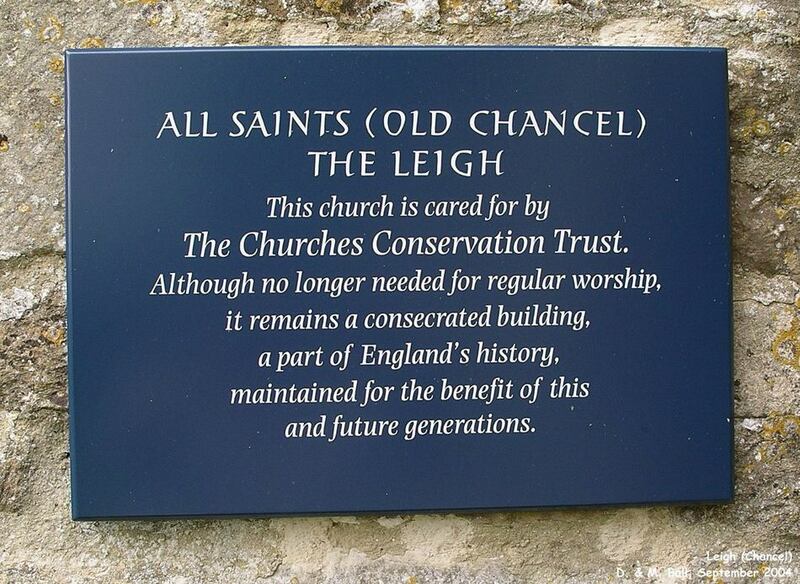 Leigh Old Chancel is now under the care of the Churches Conservation Trust which is a charity dependant on donations and maintains churches no longer in regular use. 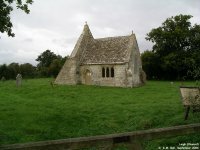 The chancel is a Grade II* listed building - more information about the listing can be found at the British Listed Buildings website. 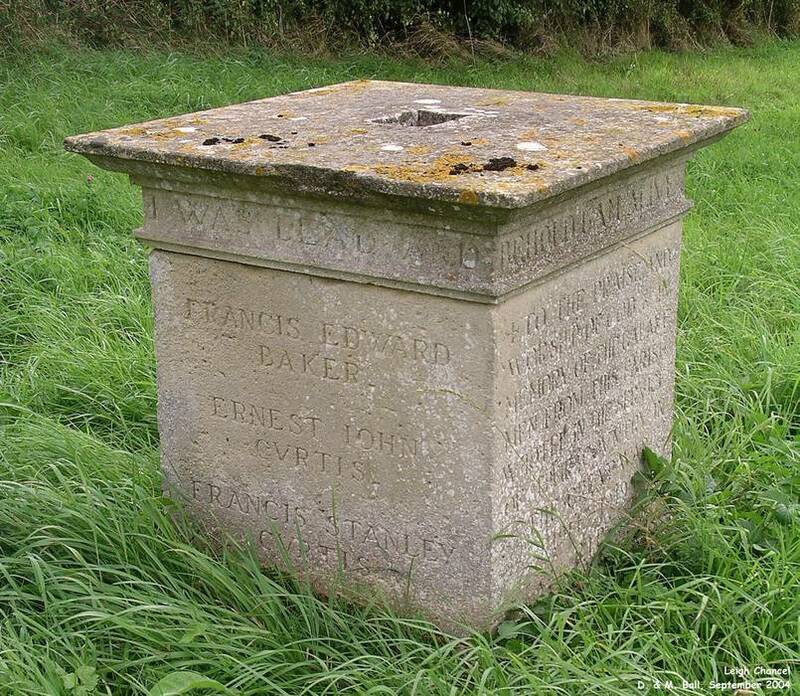 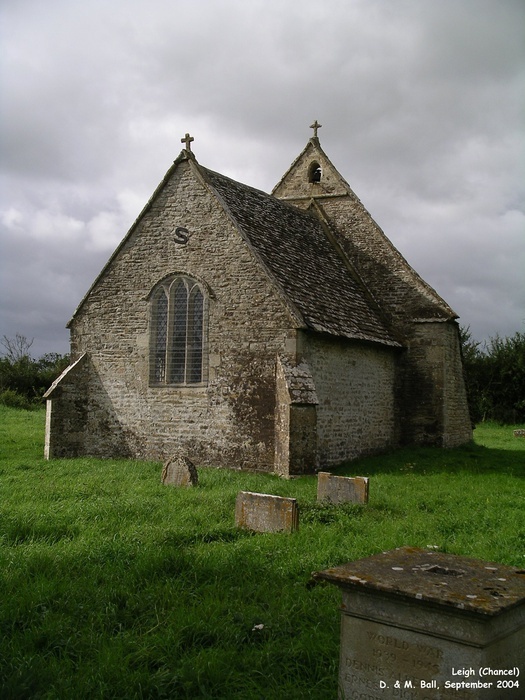 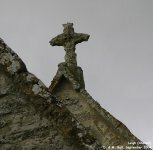 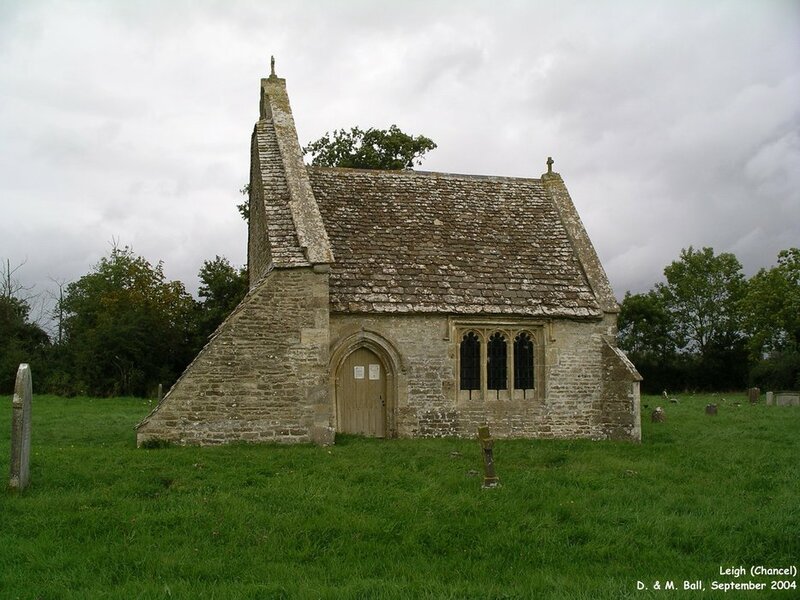 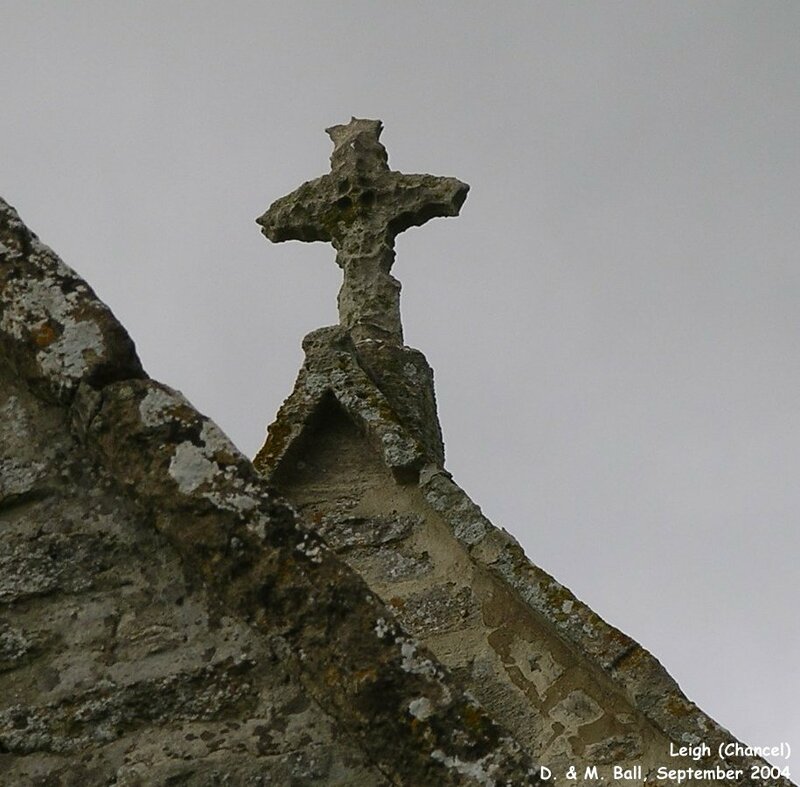 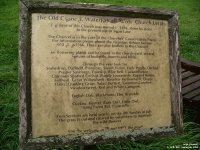 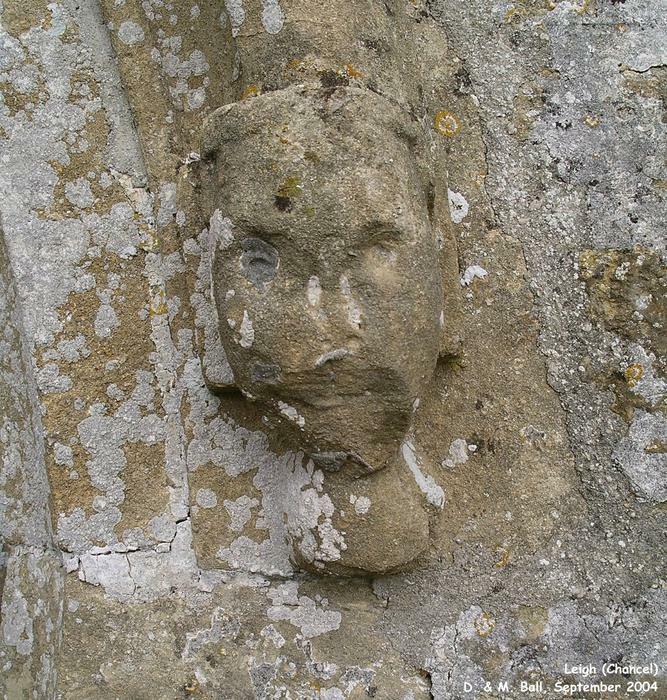 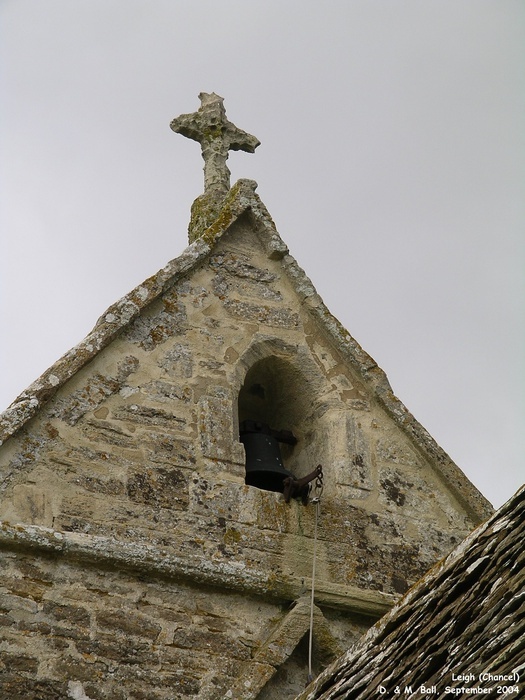 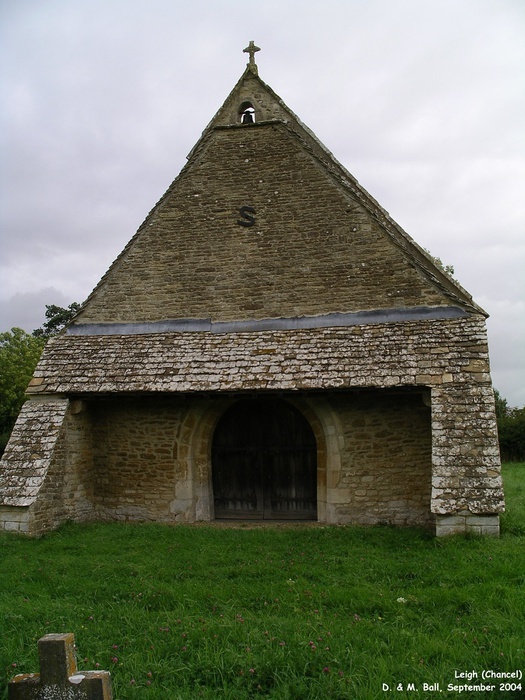 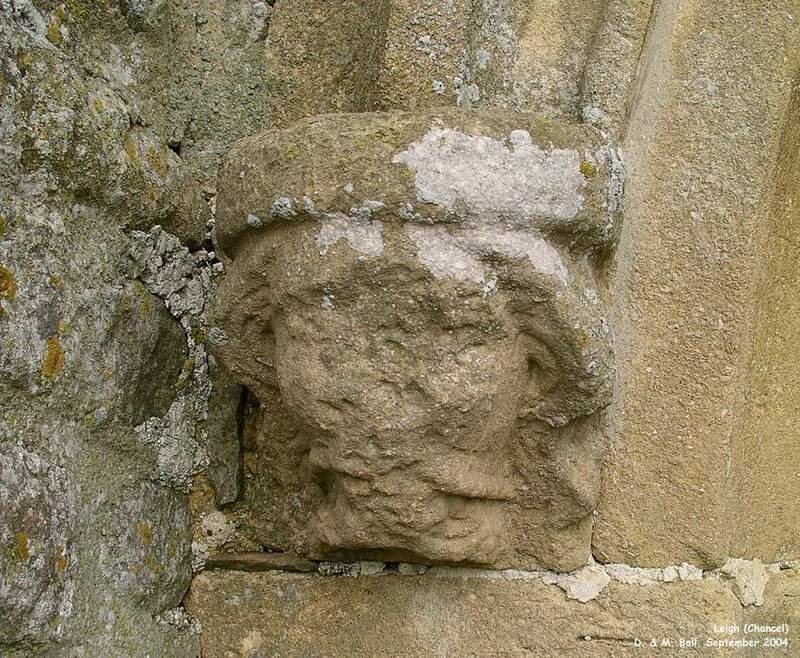 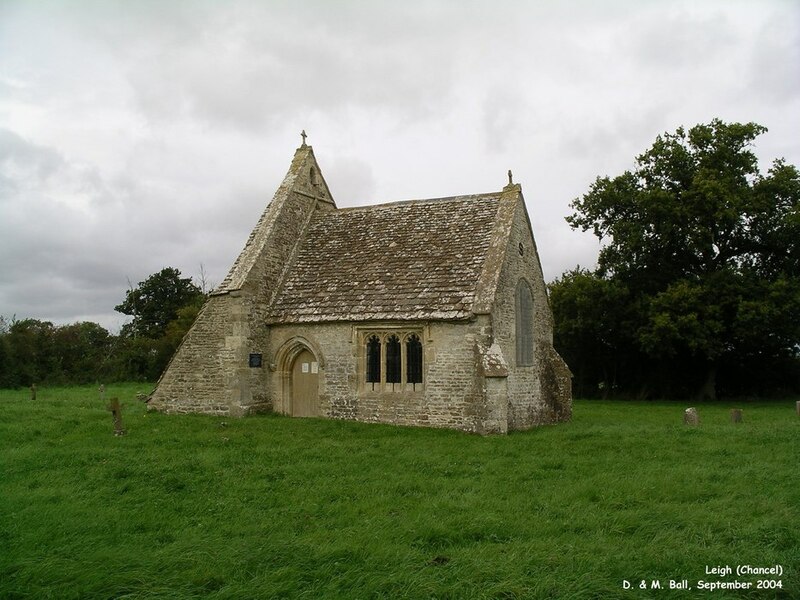 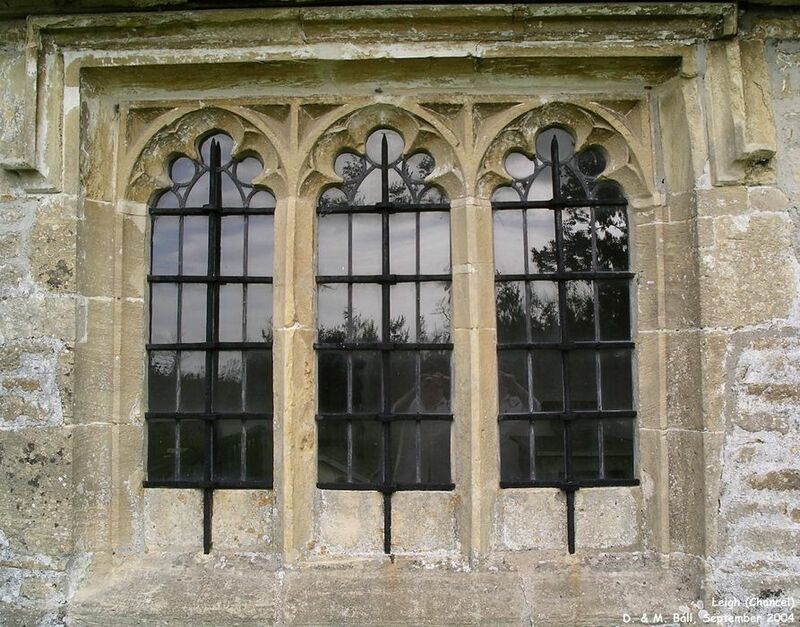 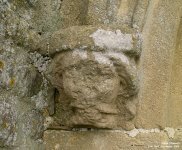 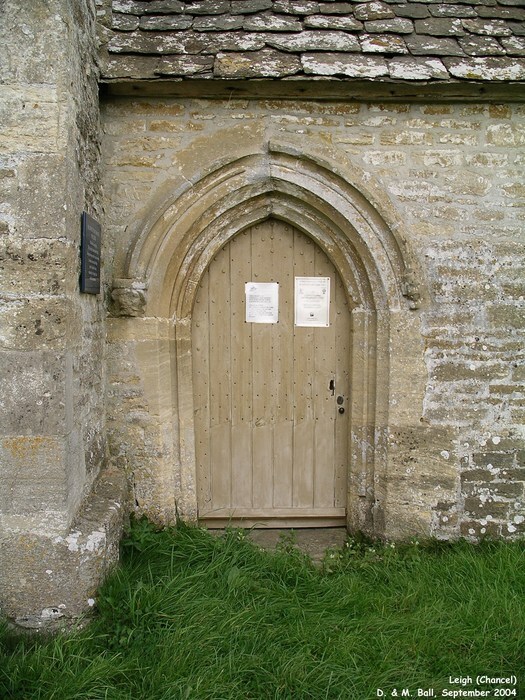 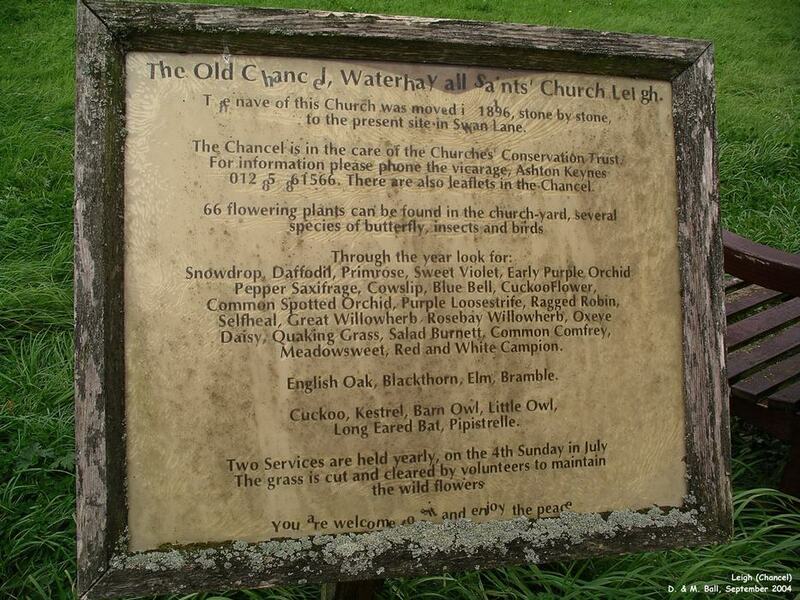 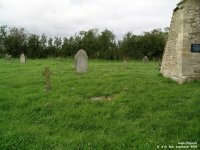 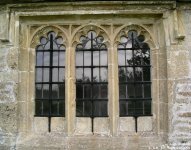 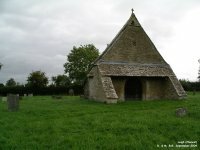 More information about the old chancel can be found at the Wiltshire Council Community History website. 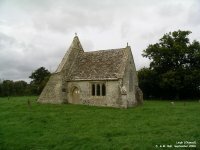 In order to get to the Old Chancel, one must trek along a lane, which eventually becomes a track which eventually becomes a field. After wondering if we had missed seeing the Old Chancel and was therefore lost, we spotted it in an adjacent field. 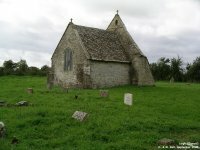 So, if you are trying to find the Old Chancel for the first time, get yourself a good map study it before you leave and trust you've got it right! 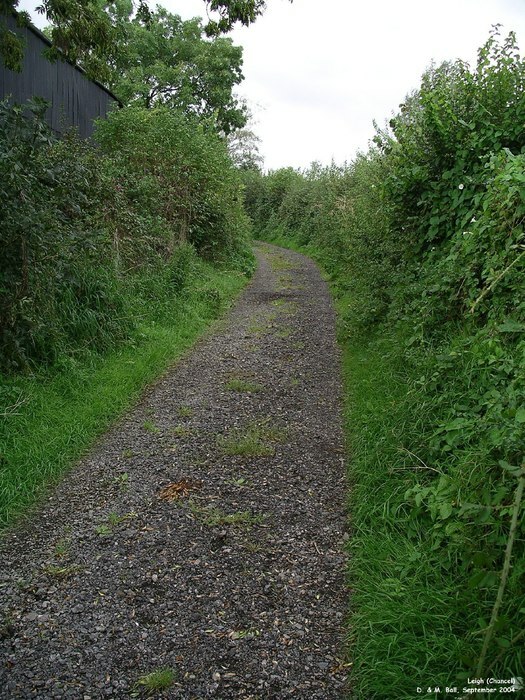 Lane leading to the old chancel. 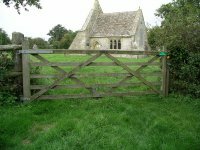 Gate in memory of Nurse Targett. 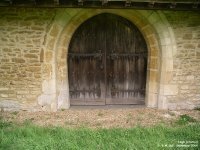 Door into the south side of the chancel. 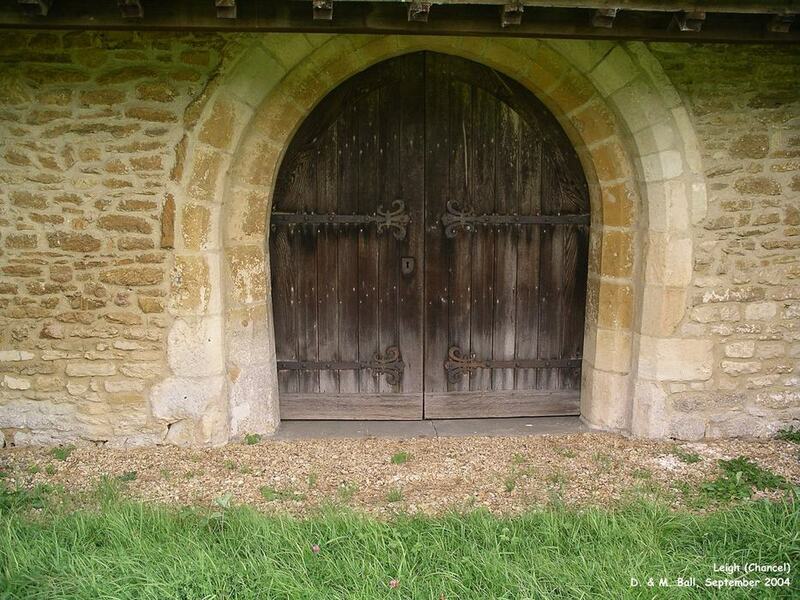 Stone carvings either side of the door. 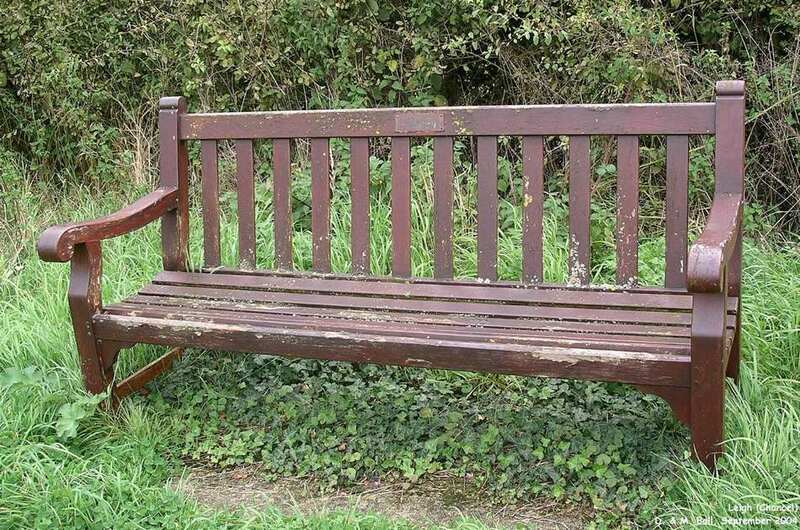 Bench in memory of Nurse Targett.